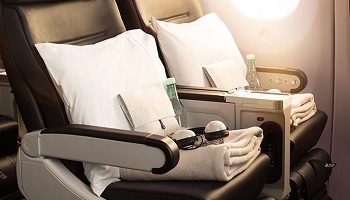 Our ultimate luxury adventure itinerary featuring 4 locations, Eagles Nest (Bay of Islands); Wharekauhau Lodge & Estate (Wellington); Annandale (Christchurch); and Minaret Station Alpine Lodge (Southern Alps) with unique activities to ensure the trip is luxurious, educational and unforgettable. It will be a trip of a lifetime! On arrival into Auckland airport connect by short flight to Kerikeri – the gateway to the Bay of Islands. 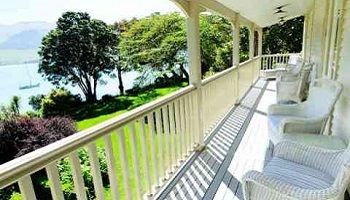 You will be met on arrival in Kerikeri and transferred by private car service to Eagles Nest. 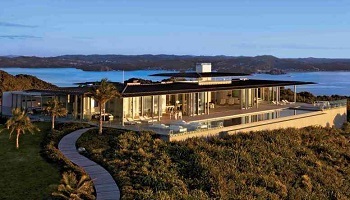 This multi-award winning retreat is set within a 75 acre estate atop its own private ridgeline offering spectacular views of the Bay of Islands. Designed and furnished in an eclectic international contemporary style, where gardens and lodgings blend into the natural topography and foliage. 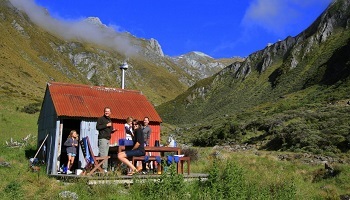 Eagles Nest is within easy walking distance of the historic town of Russell, the birth place of New Zealand. 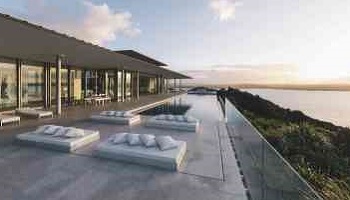 Their private family Villa: Rahimoana: Sun God over the Ocean features four private bedrooms accommodating a total of 8 people in pure luxury offering stunning 320 degree views of the Bay of Islands. This villa is perfect for a family and boasts open plan living, state of the art gymnasium, Jacuzzi, 25 metre heated infinity edged lap pool and a home cinema. 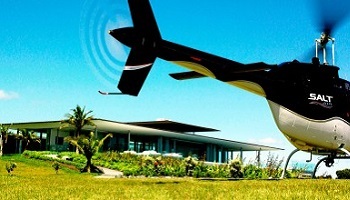 You will be collected from Eagles Nest for your private car service transfer to Kerikeri Airport. Depart Kerikeri by air to Wellington. 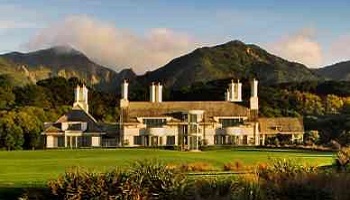 On arrival into Wellington you will be transferred by a private car service transfer to Wharekauhau Lodge & Estate. Nestled between the foothills of the Rimutaka Mountain range and and the the clifftops above the dramatic Palliser Bay, Wharekauhau Lodge is located at the heart of one of the most spectacular farms in the world. Built along the lines of an Edwardian country manner, Wharekauhau lodge cuts an elegant figure as it presides over the 5,500 acres of rolling pastureland. The main lodge consists of a large country kitchen, wood-burning open fireplaces, formal dining room, wine cellar, games room, intimate library, heated indoor swimming pool, gymnasium and plenty of winter snugs in which to cosy up with a good book. From the moment you arrive to the second you depart, the Wharekauhau family are here to make this your home-away-from-home. Built on the service basis of traditional kiwi farmhouse-style service, the lodge encourages guests to join Chef Marc in the kitchen for a mid-morning coffee, or meet Aaron, the lodge Sommelier and enjoy an impromptu Pinot tasting in the cellar. The relaxed, yet ultimately knowledgeable staff at Wharekauhau take great pride in making sure your stay is one to remember for many years to come. The accommodation is provided in 15 separate Cottage Suites dotted around the main lodge building. All cottages feature super king beds, open gas fireplace, underfloor heating, private verandas, flat-screen televisions, iPod docking stations and wifi. 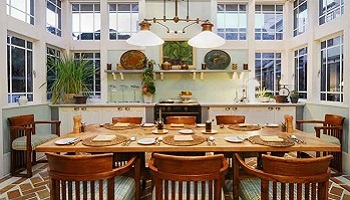 The lodge & cottage interiors have all been designed by the award-winning interior designer Virginia Fischer. 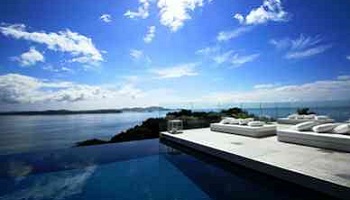 All rooms are situated to capture the stunning natural light and absorb the panoramic vistas over the Pacific Ocean. Wharekauhau offers a range of onsite activities from the relaxing such as cellar tastings or soothing massages to the adventurous such as ATV Quad Biking, Horse Trekking, Clay target shooting, Archery & Tennis. Guests can enjoy a trip into the famous Burgandy-esque Martinborough wine region, home to 35 boutique wineries, and a plethora of artisan food producers. A day trip out to Cape Palliser to see the Southern Hemispheres largest Brown Fur Seal colony and lighthouse built into the cliff face is also a must-do. Those wishing to contrast the relaxed country atmosphere often head for a day out shopping, visiting the national museum, and enjoying the vibrant coffee culture ambience of Wellington city. 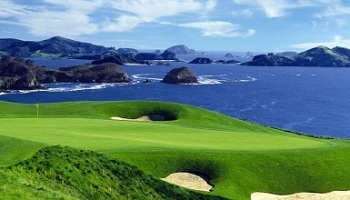 You will be collected from the lodge for your private car service transfer to Wellington Airport. 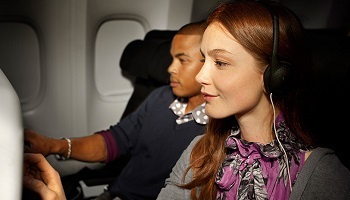 Depart Wellington by air to Christchurch. 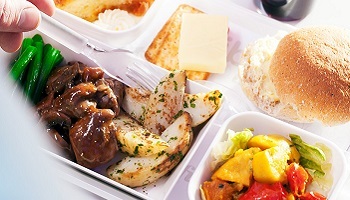 On arrival into Christchurch you will be transferred by private car service transfer to Annandale. 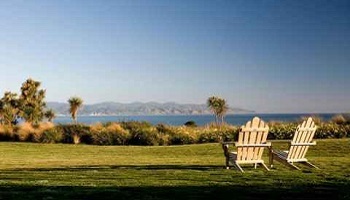 Luxury coastal farm escape offering four award-winning villas for exclusive use providing an authentic kiwi experience, privacy and relaxation. 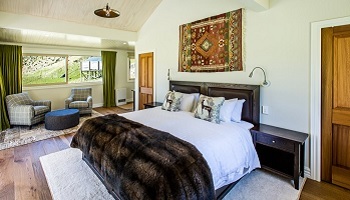 In an area of outstanding beauty and off the tourist trail lies Annandale, an iconic sheep and cattle farm offering four distinctive luxury villas with relaxed Kiwi-style informality. 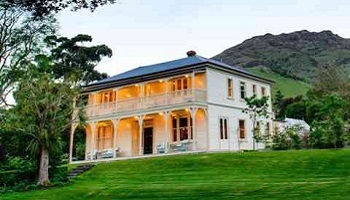 Developed in 1843, Annandale was one of the earliest and most renowned farms in New Zealand’s South Island. 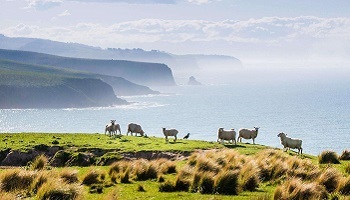 With 10 kilometers of spectacular and rugged coastline, Annandale today boasts 4,000 acres, 500 cattle and between 7,000 and 14,000 sheep. Our aim is to breed the finest stock through sustainable farming practices for the most delicious meat and best quality wool, while providing world-class luxury accommodation, farm-to-table cuisine and uniquely authentic experiences for our guests. 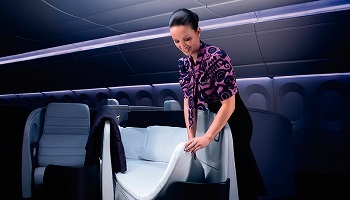 Whilst there is every luxury and comfort on the inside, it is what’s on the outside that really sets Annandale apart. 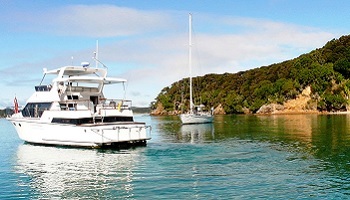 The turquoise waters surrounding the property are perfect for water activities, including guided kayaking and nature cruises on Annandale’s powerboat to see native wildlife, potentially encountering the famed Hector’s dolphins - the rarest and smallest dolphin in the world - seals, blue penguins or orca. Guests can arrange for an off road 4WD motorbike tour adventure, enjoy a hike or bike across the spectacular farm, practice their aim with clay target shooting, or relax with a massage, facial or other spa service in their villa. Additionally, there are onsite farm–to–table cooking lessons with our award winning chef or helicopter scenic flights from wine tasting or lunch at a vineyard, whale watching off the Kaikoura Coast, to discovering the mighty peak of Mt Cook. 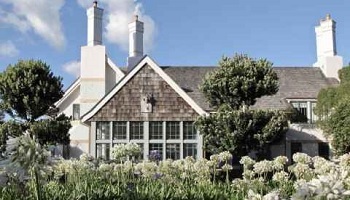 You will be collected from the lodge for your private car service transfer to Christchurch Airport. 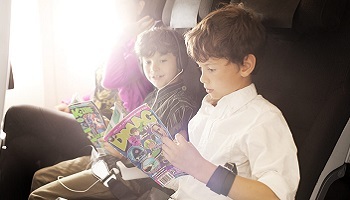 Depart Christchurch by air to Queenstown. On arrival into Queenstown you will be transferred by helicopter to Minaret Station. 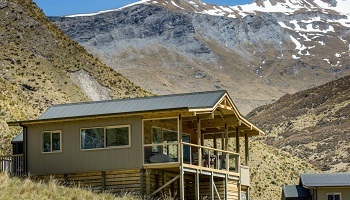 Minaret Station offers New Zealand's premier alpine experience, with guided hiking, fly-fishing, heli-skiing, and hunting amidst the spectacular Southern Alps. Minaret Station is a 50,000 acre working high country farm, home to some 10000 deer, 7000 sheep and 1000 cattle raised for supply to premium export and domestic markets. Beyond the mustering runs, nestled in amongst the spectacular Southern Alps and bordering the UNESCO World Heritage listed Mt Aspiring National Park, lies the luxurious and remote Alpine Lodge. Located at an elevation of 915 metres, the surrounds echo classic ‘Lord of the Rings’ territory. 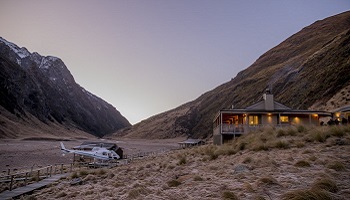 Set at the head of a picturesque glacial valley within the untouched landscapes and beauty of the Southern Alps, Minaret Station Alpine Lodge is accessible only by helicopter. Guests to the Station are treated to an exclusive and authentic experience framed by the rugged beauty of a secluded mountain landscape and will enjoy a level of comfort and style never before available in New Zealand’s wilderness. Visitors to Minaret Station Alpine Lodge are welcomed as guests, but depart as family. The station is owned and operated by four brothers each with an affinity for the outdoors. Together, the Wallis brothers lead a friendly and experienced team, passionate about delivering memorable experiences time and time again. A team of hosts, pilots, guides, chefs and housekeeping staff pride themselves in providing each guest with an intimate and personalized level of service from the moment the first enquiry is made. Guests are hosted exclusively, or as part of a group, in one of just four luxuriously appointed Chalets. The individual Chalets are separately positioned amongst native alpine grasses and herb fields, each harnessing unique vistas of the valley and surrounds.â€¨â€¨ Each chalet offers privacy, warmth and the comfort of tasteful, high country design. They feature sheepskin carpets, king-sized beds, a dressing /sitting room, an en-suite bathroom and an adjoining private deck with sunken hot tub, where guests can relax and recline beneath the stars, in undisturbed privacy. A large number of scenic flight options are available with many incorporating snow landings and alpine picnics amongst breathtaking scenery. 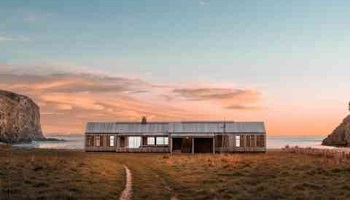 New Zealand’s most remote fine dining experience. Located high in the Southern Alps and accessible only by helicopter, the Mountain Kitchen at Minaret Station is the ultimate in exclusive, luxury dining. Modern cuisine paired with award winning regional wines, and a wide selection of beverages, is prepared by resident Chefs using fresh local produce. Say goodbye to the uphill grind, and instead take a helicopter to the mountain top to begin an exhilarating descent. Following a gear fitting session and an introduction to the techniques of mountain biking, guests will be flown to one of several remote trails in the Southern Alps. Registered as a World Heritage Area, Fiordland National Park is the most remote and spectacularly preserved National Park in New Zealand. Famously inaccessible, Fiordland has seen minimal change and remains one of the most captivating and naturally beautiful locations in New Zealand. Minaret Station’s culinary team can arrange a gourmet heli-picnic in a spectacular private alpine setting, complete with all the trimmings. 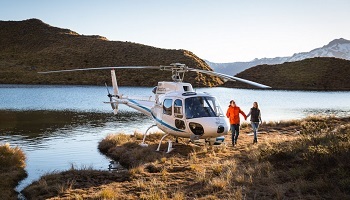 Guests will travel in style by helicopter to one of many select wilderness locations. 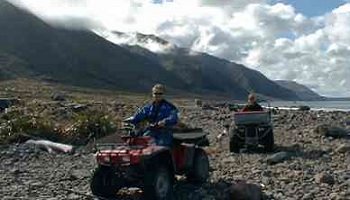 Enjoy the thrill of Jet Boating up one of several iconic glacier fed rivers in Mount Aspiring National Park. Guests are flown by helicopter to a waiting jet-boat to journey the braided rivers set amongst bush clad mountains and snow-capped peaks. The expedition is both informative and exciting and includes a short guided hike. Helicopter transport ensures exclusive access to otherwise inaccessible locations with each trip being tailored to suit the individual or group. Guests can choose to get up close to rushing waterfalls and craggy mountain ridges or simply meander through gently undulating valley floors, soaking up the natural wildlife. 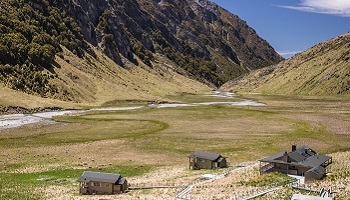 Minaret Station offers both freshwater and saltwater fishing opportunities within the remote Southern Alps, and off the coastline of New Zealand’s West Coast. A great diversity of wild fish species provides exceptional experiences for anglers of varying abilities. Explore hundreds of square kilometers of untracked terrain on our exclusive private Heli Ski charters with Minaret Station’s seasoned pilots and guides. Whether you are a beginner or an expert, if you can ski or snowboard then you can heli-ski. Helicopter transfer to Queenstown airport. 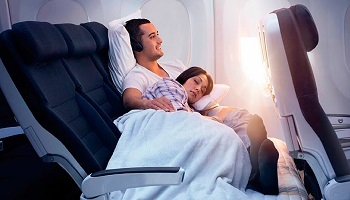 Depart Queenstown by air to Auckland and connect to International flight back to Los Angeles or onward destination.